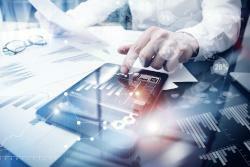 Finance aggregator Connective has announced the launch of a new marketing platform for brokers to automate client engagement. Connective’s new marketing platform, called the Digital Marketing Hub, allows brokers to automate the delivery of email marketing campaigns. The platform connects with the broker’s database via Connective’s CRM system Mercury, allowing them to segment clients so that messages can be tailored to different groups based on their characteristics. Using the Digital Marketing Hub, the aggregator said that trigger campaigns can also be launched around the client’s behaviour and financial profile. Additionally, the platform allows brokers to track the client journey, ensuring they are delivering the right messages and information at every stage. Campaigns can also be optimised based on real-time data, thanks to the platform’s live reporting functionality. Speaking of the launch, Connective general manager of sales and distribution Gingkai Tan said, “Consumers are bombarded with thousands of messages every day and our new marketing platform has been developed to help brokers cut through the noise. Brokers can use the platform to manage their own marketing campaigns or outsource management to Connective MyMarketing, an internal service that curates content and co-ordinates the delivery of client communications on behalf of member brokers.